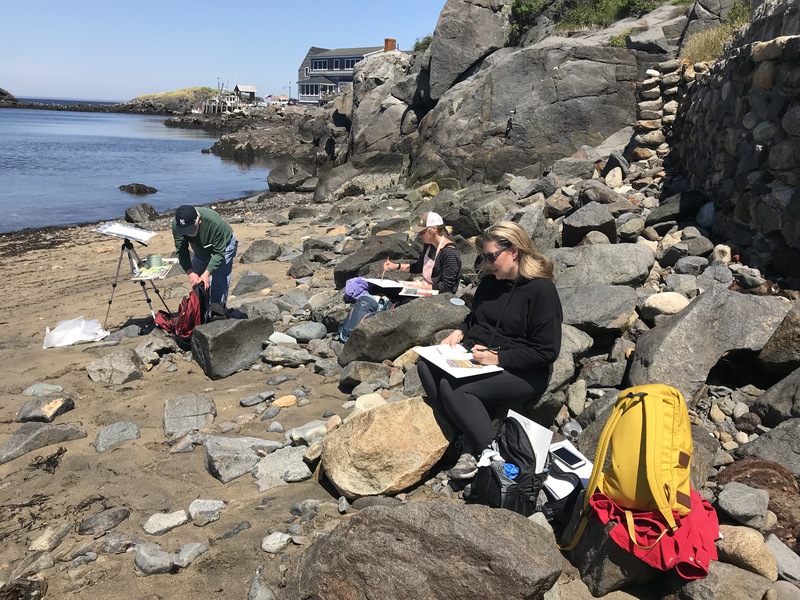 This Monhegan Island 3-day workshop invites students to participate by attending in early summer, late summer, or both. All you hardy artists who like to hike and paint on location, this retreat is for you! Discover why this island has captured the imagination of artists for over 250 years and enjoy the camaraderie of an artistic cohort. All art media and all levels of artists welcome. You will arrive on Friday morning with time to get settled before a noon group meeting and work session. Work sessions will include specific exercises to sharpen your perceptions of color, light and space. All sessions will include demonstrations, group critiques and individual instruction. Late afternoons and early evenings are yours to explore the island. You need to be physically able to walk distances on uneven terrain while carrying your easel with supplies. This trip also happens in September! Participants make their own travel, meal and lodging arrangements. I would recommend that you work in a medium that you have prior experience in. The class is geared towards the landscape experience, not methods and materials. Sketchbook and drawing tools, which may include and are not limited to: pencils, pens, ink, charcoal pencils, markers, and erasers, pencil sharpeners. Paper towels: plenty of them. Rubbish bags: supermarket carrier bags are perfect for this. Use one bag for your rubbish, as you want to leave the site you paint spotless. Portable chair -if you like to sit while working. Neutral clothing and ones you don’t mind getting paint on. Click the button below to add the CTR 070-W19 | Painting Monhegan: Early Summer Retreat to your wish list.